So remember those delightful lavender-lemon scones from a few weeks ago? Well I had a LOT of lavender left over. 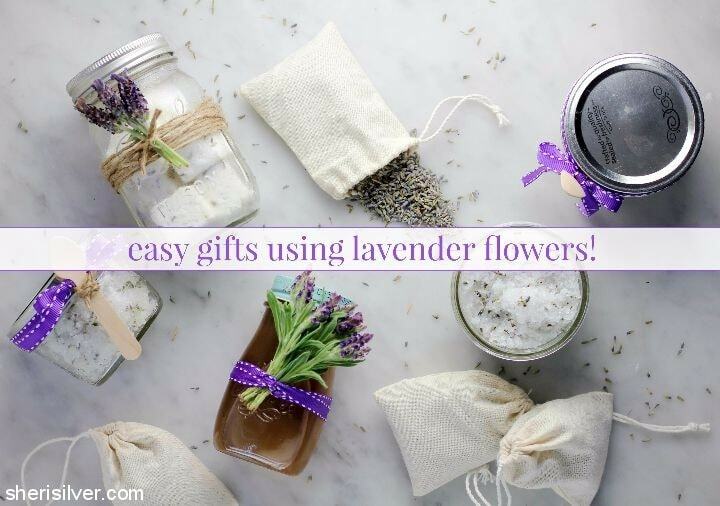 And with Mother’s Day and end-of-the-school-year around the corner, I thought it would be fun to create some easy, gift-worthy, no-sewing-or-crazy-materials-needed crafts, highlighting this lovely flower. And you guys – I came up with FOUR. And they’re all fabulous! First up? 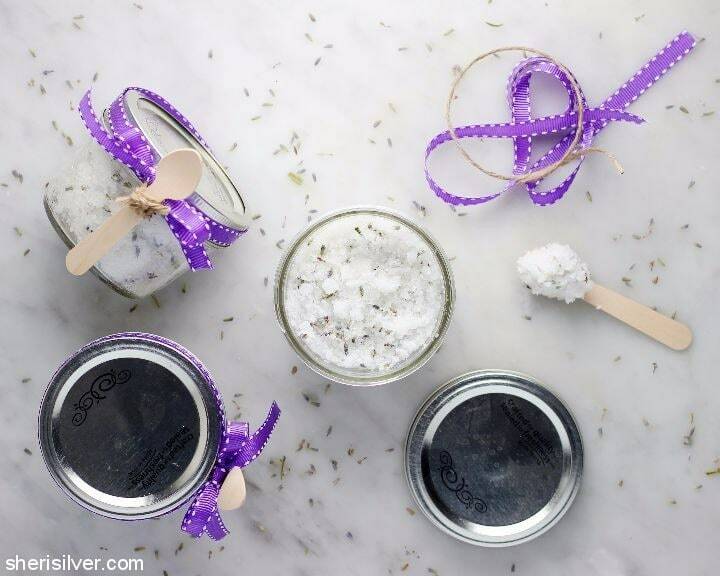 Lavender salt scrub. I’m a bit of an exfoliating addict – and the grainier and scrubbier the better. I’ve always wanted to make my own and this was my chance. And talk about easy – just a few ingredients, and in about 3 minutes I had whipped up a batch of honest-to-goodness scrub that I am completely tempted to keep for myself. You can play around with the ingredients – I’ve seen scrubs that use jojoba oil or honey instead of coconut oil, and sugar in place of the Epsom salt. I’m thrilled with this recipe and would love to hear your versions (I used this lavender for all the recipes and crafts I’ll be sharing). 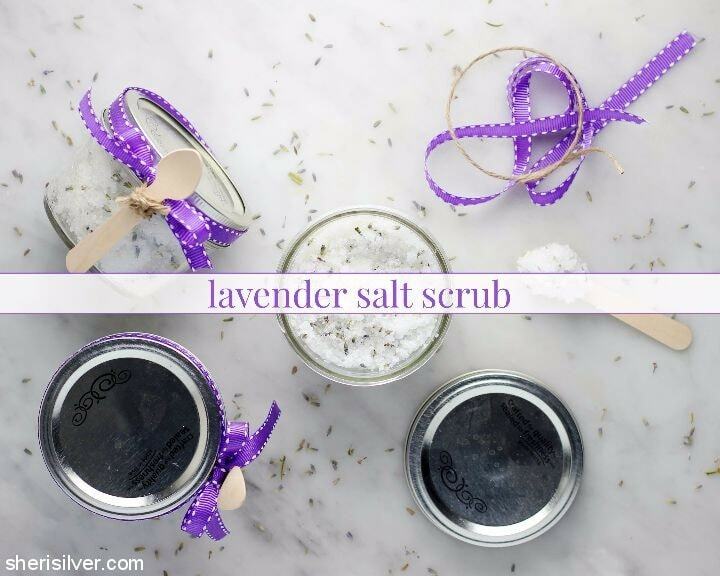 Place the Epsom salt, coconut oil and lavender flowers in a large bowl. Use a spoon to thoroughly combine, then add the lavender oil, starting with 10 drops and adding more if needed. If giving as a gift, place in a jar and tie with a ribbon – adding a small scoop or spoon if you like. Can the coconut oil be replaced with jojoba?